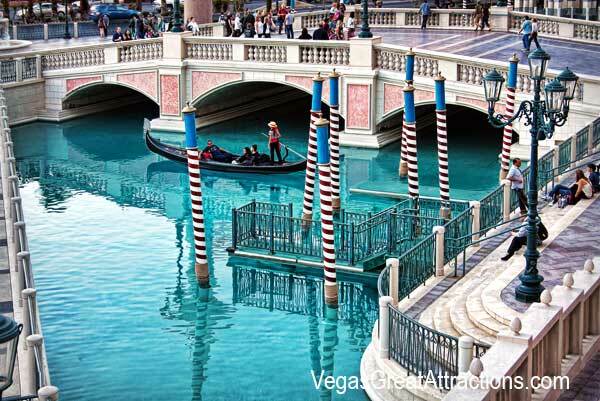 Located at the heart of the famous Strip, the whole complex has Venice, Italy written all over it. The Venetian Tower for instance, is a replica of the St. Mark’s Campanile, found in the Italian City of Venice. Other Italian historical landmarks that the hotel has recreated include the St. Mark’s Square with Doge’s Palace and the Rialto Bridge and Doge’s Palace. Cobblestone pathways and piazzas are a common feature throughout the property. When you enter the lobby, you will definitely find visitors taking photos of the ceiling. Once you have a look at the ceiling, you won’t resist the urge to take some photos too. The ceilings are tall and covered in exquisite fresco that makes them resemble the Sistine Chapel. They are so spectacular that you can actually take a tour of the hotel with your head up the whole time. Luckily, I had my husband with me to constantly remind me to give attention to the other attractions as well. Apart from the ceiling that really captures your attention, the lobby fountain is also stylish and wonderful to look at. It main feature is a beautiful golden globe with statues and zodiac symbols. 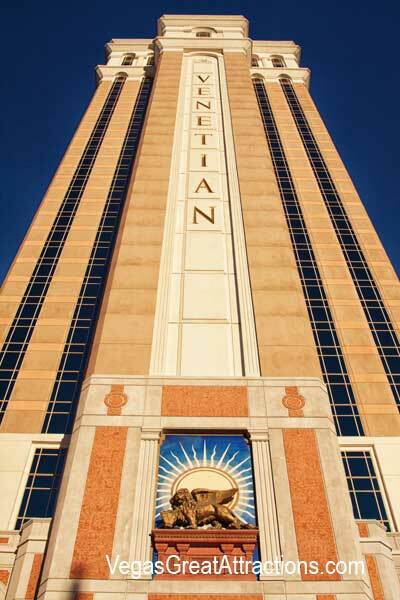 Venetian hotel is one of the best Las Vegas family attractions. This is why I found it a bit challenging to take a photo of the fountain due to the presence of people who kept on blocking the shot. I therefore had to do some perfect timing and take the perfect photo quickly before someone popped up and ruined the moment again. If you wish to take a photo without any hassle, I’d recommend that you go early in the morning when the number of visitors is not so large. On the bottom of the fountain you will notice some coins thrown in by visitors. This is a common practice for tourists to do, either for good luck or in the belief that by doing this they will come back someday. However in this case it’s different. The coins are donated to The Dr. Miriam and Sheldon G. Adelson Center to help combat drug addiction. I was really touched by this so I threw some coins too. What a wonderful way to give back to the society. 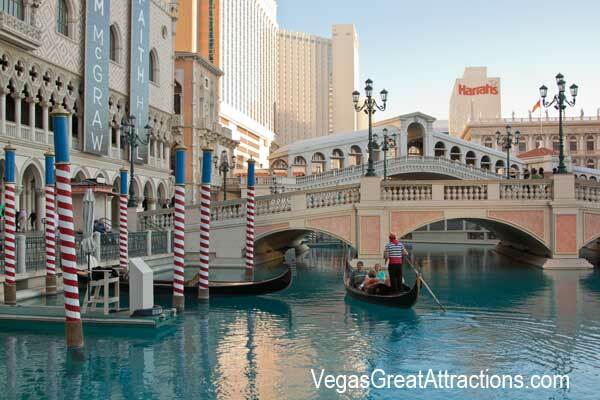 A visit to the Venetian Hotel Las Vegas would be incomplete without a gondola ride. You can choose to go for an indoor or an outdoor ride. 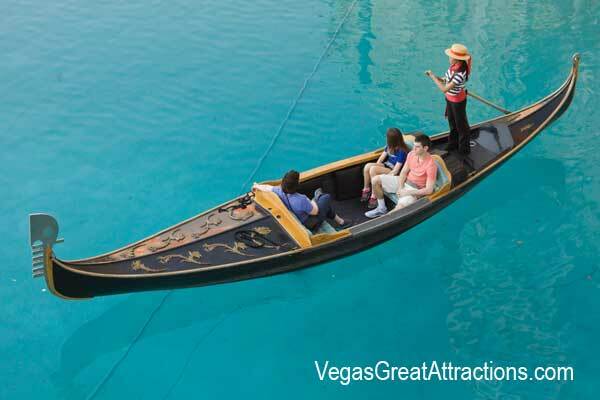 There is a two-person and a four-person gondola. A ride on the former costs four times more than a ride on the latter. My husband and I opted for the four-seater ride. We were paired up with another couple who were very friendly. We therefore bonded easily. 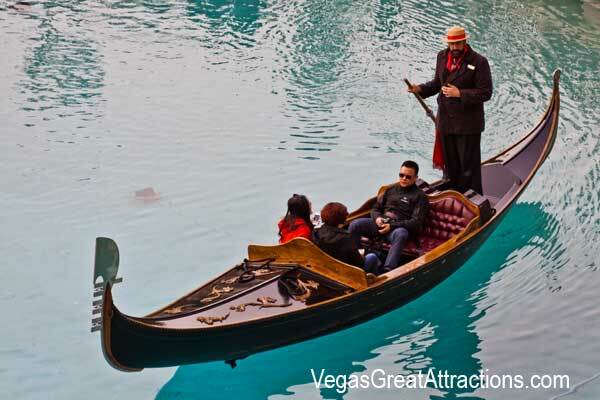 The gondolier sang lovely Italian songs that enhanced the romantic mood of the indoor ride. I also heard that all gondolas are authentic, imported directly from Italy. We rode through the Grand Canal Shoppes mall, admiring its beautiful architecture. The ride lasted about fifteen minutes. We also wanted to experience the outdoor ride. I loved it more than the indoor one because we traveled through an outdoor canal and had a spectacular view of the Las Vegas Strip. It’s easy get to the hotel by taking The Deuce Double-Decker Bus which continuously operates on the Strip. If you prefer to drive, you have nothing to worry about since your parking needs are well catered for. The hotel has a multi-store car park that is absolutely free of charge. Click on any image to see it in the gallery. 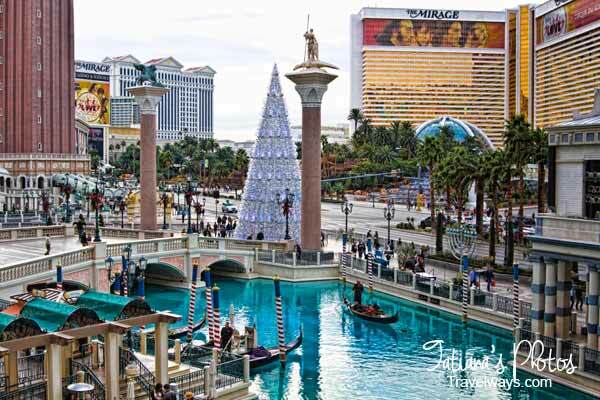 You can also see more pictures of Venetian Las Vegas in original size on my travel photography site.